What would happen if a retro motorcycle coupled with a rally car? Suzuki has the answer. 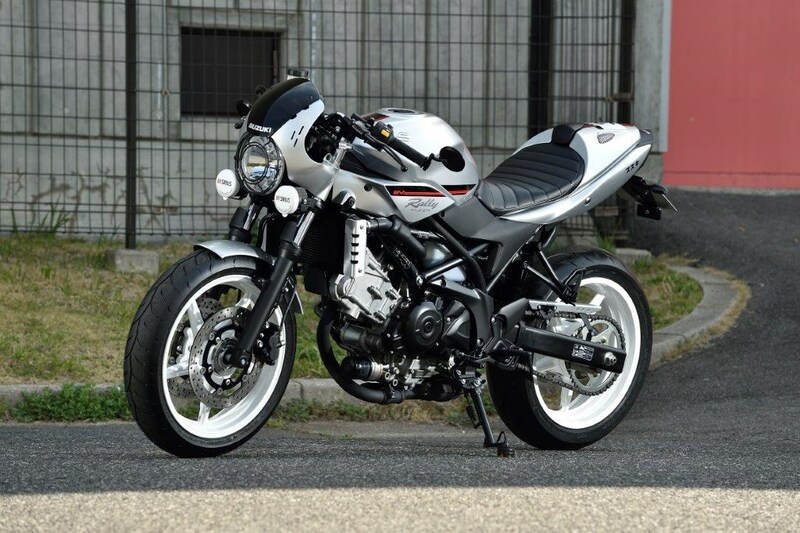 In Osaka Motorcycle Show 2016, Suzuki showed off the figure of concept motorcycle named Suzuki SV650 Rally. 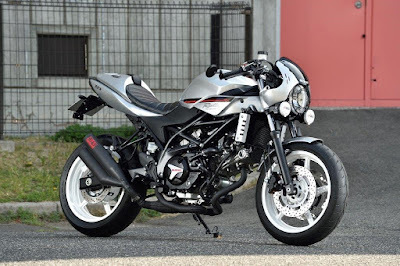 As reported by the Motorcyclenews on Thursday, March 24, 2016, this concept is basically a Suzuki SV650 motorcycle. As noted earlier, this concept combines a retro motorcycle style with a rally car in the 1970s. This motorcycle has an additional fog lights, single seat cover and small side cowl flowing from under the headlamp to the tank. Other changes included clip-on bars, different front fenders, mirror on the end of the handlebars. In addition, there is also the Suzuki logo on the seats that are written in katakana. 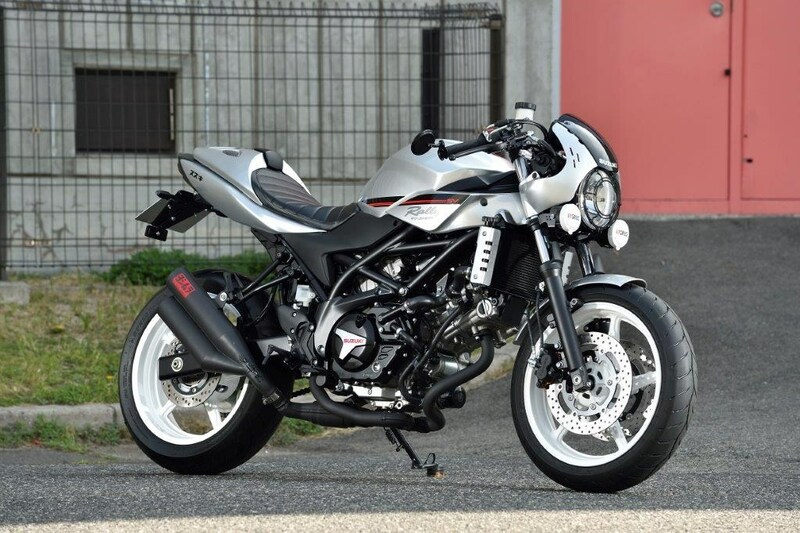 The streetbike with rally car style is also carrying the latest V-twin DOHC engine owned by SV650 family with a capacity of 645 cc. It could be burst the power up to 75 hp. 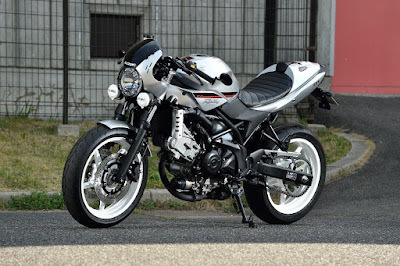 Its exhaust system uses Yoshimura with a pair of mufflers on the right side.